In dong yi, btw Jang Ok-jung and Dong yi, whose title is d highest? Both of them eventually had the highest rank title Bin, but Lady Jang was also the mother of the Crown Prince which made her of higher status compared to Lady Choi. At the time when Lady Jang was alive, Lady Choi had not gotten her Bin title yet so her status was lower compared to Lady Jang. Annyeong! I have a question about the prince consorts. Do they live in the palace along with the princess after their marriage, or do they take the princess along with them in their new home? I believe that the child would just be another child born out of wedlock and suffer the fate of a illegitimate child, with lower status than normal kid. The child won’t be considered a prince/princess, since the law of Joseon stated that even the legal offspring of a princess was unable to inherit their mother’s royal title. Joseon was a highly patriarchal country and the titles were only passed down through the male line. Hence, this answer the other question: that child won’t be eligible for the throne, not only because he’s born out of wedlock. Fun fact: Lady Hyegyeong, Crown Prince Sado’s wife and King Jeongjo’s birth mother, was actually the descendant of Princess Jungmyung, King Seonjo’s daughter. However, her father was not considered a royal because of the family status, which followed that of the Hong family, that was a noble at that time. However, Crown Prince Sado’s grandchild through his illegitimate issue was later brought into the court to become the 25th king of Joseon, Cheoljong, despite his illegitimate status. Although he was a distant relative of the royal family, he was still considered a royal. Very good job!! I have a question. Were princes (both grand princes and princes) allowed to have concubines? Also, was it considered a scandal if a prince’s legitimate wife didn’t bear any child but one of his concubines did? Thank you! 1 – Yes, men were allowed to have concubines, even those of noble births. 2 – Not really a scandal, but in some cases, the child (especially boys) would be adopted and made the official wife’s offspring legally, in order for that child to carry the title of the Prince and continue the family name. Most childless Princesses Consort (if any) might opt for adopting their legitimate nephews to continue the lineage and to preserve the blood in the family. Thank you!! That was really helpful to me!! Pls i dnt really understand something in dong yi Hee Bin, I mean Jang ok Jung is she meant to die? Why is it that korean hype status, rank much more than anything especially the royal family in North korean and even the rich in South Korea? The real Jang Huibin died because the ministers (on the Noron side) urged for her to be killed because she was suspected of using witchcraft to cause Queen Inhyun’s death. The fad with status could be caused by the centuries long practice of living in such condition. Korean dynasties were known to exist based on status, so the influence could be seen even in today’s Korea. However, the power has shifted, since the Kims in North and the chaebols in the South were originally from the common class: the Kims were commoners and the chaebols were mostly merchants. For a Daegun, their sons would be a Gun but what about their daughters? Are they considered a princess too? If a Gun is married, then what is the title for his children? Are there rankings for the princes’ concubines or are they just called a ‘Lady’? 1- The daughter(s) of a Grand Prince, or Daegun, won’t be considered a princess, since the title inheritance was purely for men only, with Joseon being a patriarchal society. She would follow the title and rank of her husband. 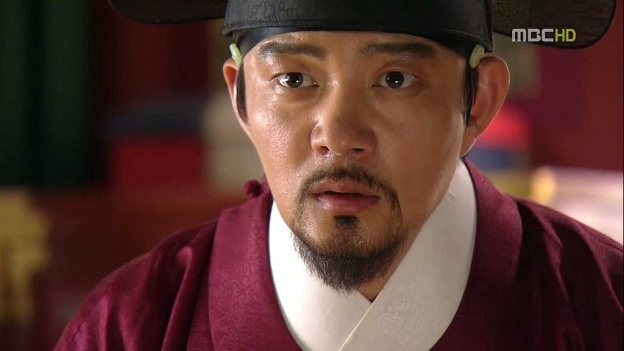 2- There are many types of Gun actually (you can refer to this post of mine: https://thetalkingcupboard.com/2015/09/23/royal-ranks-in-joseon-dynasty/) but if you’re referring to the King’s illegitimate son (I’ll refer to the rank as Royal Prince), then it would be like this: his eldest would inherit the title Prince or Gun, while his other legitimate sons would carry the title Jeong. As for his illegitimate issues from his concubines, they would have the title Yeong. 3- There were no exact rankings for the concubines of a Royal Prince, but the treatment they would receive depended on their status; if they were nobles, they would be treated better compared to concubines of humble origin. Hi! 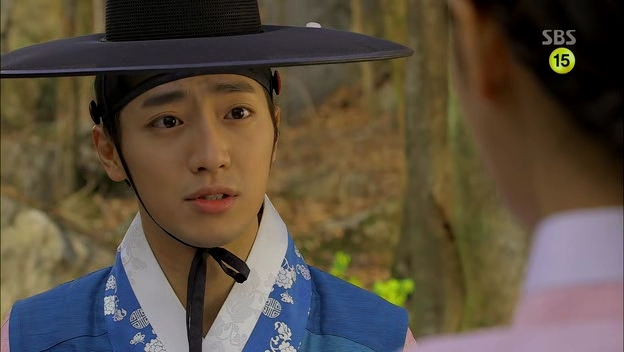 I just wanna ask because I’m pretty confused with the usage of Royal titles before the Joseon Period. I am currently watching “The Great King’s Dream”. And, I am surprised that Princess Deokman is called as Gongju Cheonha, and sometimes the court will only call her Cheonha. Can anybody explain this because I’ve been used to hearing Cheonha as a title only addressed to Kings. Thank you! Hi. Do you have any information on what a Queen Consort would call the King? Does she also call him 전하 or 폐하? Also, like how the King calls himself 과인, does the Queen Consort also lower herself when talking to the King? (Other than the usual “저”?) I vaguely recall watching a sageuk movie and the 중전 called herself “소첩” to the King, but is that accurate? What does the King call her? Is it also just 중전? 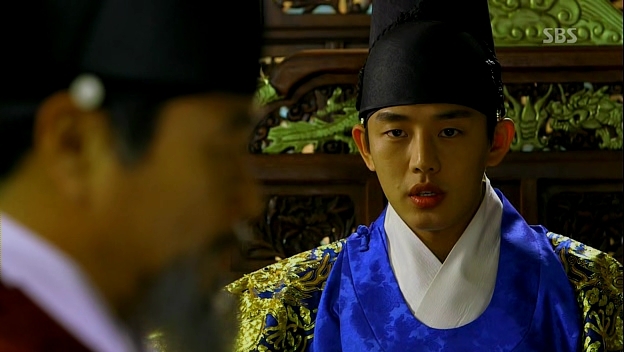 And also, is there any information on what the First Concubine (빈마마) calls the King? Does she also call him 전하/폐하? Is there also a term for herself that she calls herself in front of the King, other than 저? What does the King call his concubine, and does it depend on their rank too? For now I just want to know the formalities between the King and Bin-mama, like what other terms they call each other if you have any answers…..Thank you! Hello Amy ^•^ Thanks for the questions! 1- If it’s a King, then the Queen would call him 전하. 폐하 is for an Emperor..
2- The king’s consort (queen/concubine) would address herself as 신첩 in front of the king. 소첩 is used by the consort in front of more senior royalties, like Dowager and the Queen. 3- The King would call the Queen as 중전 and 왕비 in formal setting, but he might call her 부인 or other affectionate terms in private. 4- A 빈 would call the King 전하 because she is clearly lower in rank than him, and she isn’t his official consort. She would addresss herself as 신첩 in front of the King. 5- The King could address his concubine using her rank, title and residence name (if any) in formal setting, especially for record keeping purposes, but in private setting, the King could call the concubine using her first name to be more affectionate. I’ve ever asked you to send a mail of the name of years during joseon. I want to know more about the royal titles and styles during Daehan Jeguk. The isnt much information about it. The list of titles for Korean Empire is quite complicated, since the highest is the Emperor, and the princes could either be the Imperial Crown Prince (Hwangtaeja), the Imperial Prince (Chinwang) or the Prince (Gun). I think I heard people addressing Lee Yoon as Hwangtaeje, which can be translated as Imperial Crown Brother..but they are usually more senior than him in terms of ranks (like Sunny as the Empress), so the jeonha part will be omitted.